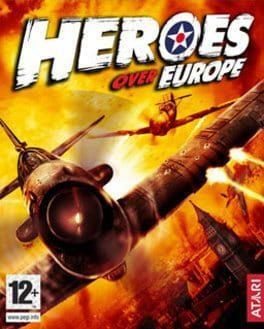 Heroes Over Europe is an arcade flying video game developed by Transmission Games and published by Ubisoft. It is the sequel to Heroes of the Pacific. Heroes Over Europe follows three pilots - an American (Tom Forester) who flies with first the British and later the Americans, a Briton (Danny Miller), and a New Zealander (Will West)- through fourteen missions during World War II beginning in June 1940 and ending in January 1945. The game features over 40 World War II planes and online support for 16 players in Dogfight, Team Dogfight, Survivor, and Team Survivor game modes. Heroes Over Europe is available from 4.99 to 4.99 from 1 shops.